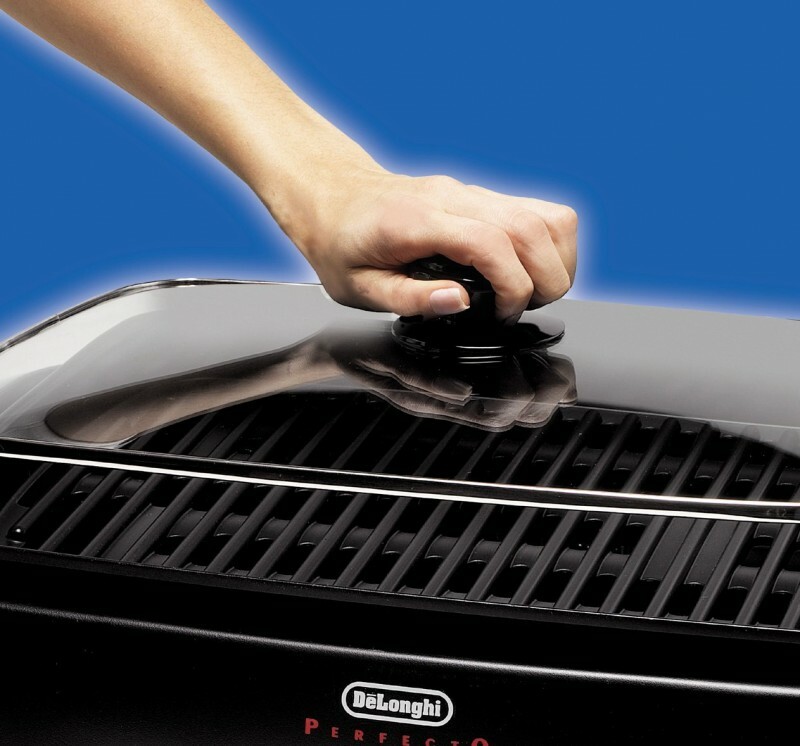 Grill indoors all year long with the Perfecto BG24 Indoor Grill by De'Longhi. 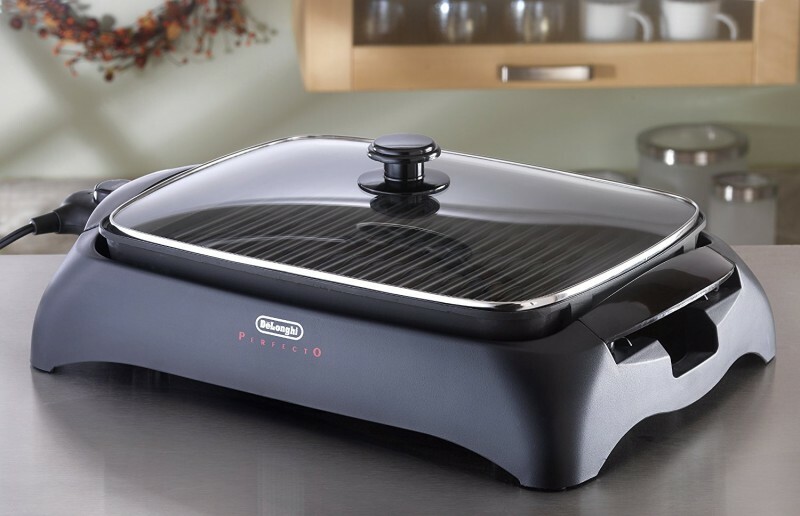 Featuring an extra-large cooking surface, the grill cooks food consistently and thoroughly for delicious results. Grill to perfection with the aid of an adjustable thermostat and enjoy easy cleanup with a removable, nonstick drip tray. Including a tempered glass lid and safety features, this grill helps you prepare tasty meals for your entire family or party. 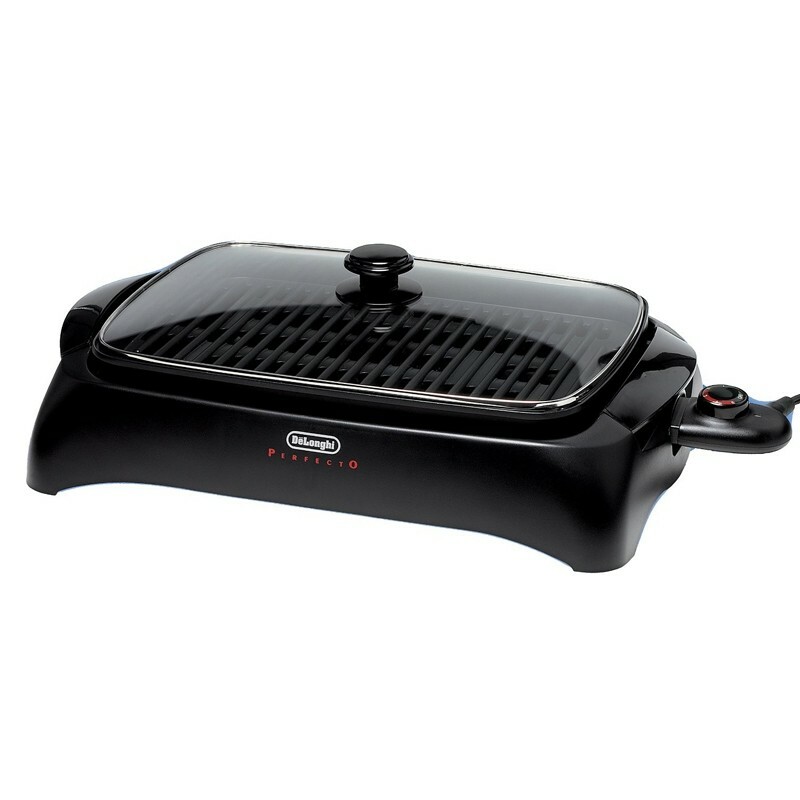 Grill meat or vegetables and satisfy your BBQ cravings all year long with this indoor grill. The extra-large, 12-by-6-inch cooking surface is large enough to grill a meal for your whole family or group. The cooking surface is made of die-cast aluminum for high-quality cooking and long-lasting use. Weighing less than 11 pounds, this portable grill is easy to carry and move anywhere you need it. Featuring an embedded heating element, this grill distributes heat evenly for consistently grilled food without overly hot or cold spots. The M-shaped design of the heating element ensures complete heat coverage of the grill plate and lets you achieve the best results. Cook your food exactly to your preference. The grill features a detachable thermostat, which can be adjusted to your desired temperature. 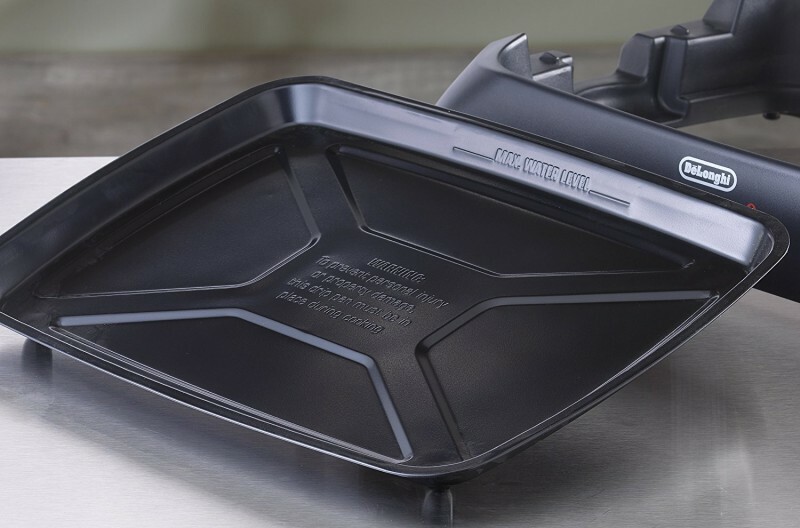 The nonstick drip pan collects drippings while you grill. For easy cleanup, simply remove the pan and empty its contents. The pan is dishwasher safe for convenience. Keep food juicy as it cooks with the included tempered glass lid. The lid also keeps your meal warm after grilling. Designed for indoor use, this grill is built for safety and easy use. 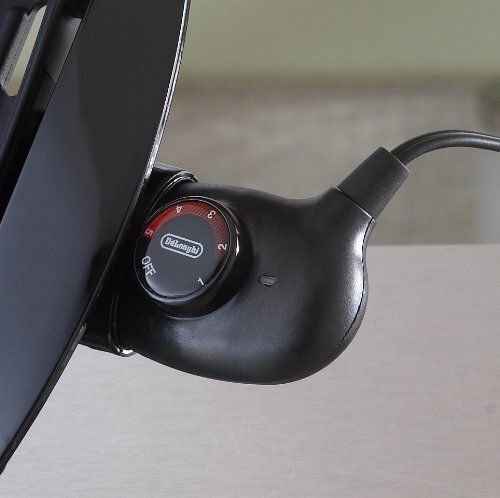 The unit features an on/off indicator light and cool-touch handles for easy movement after grilling is complete.